One thing that both Stephen and I have learned about chickens is that each one brings its own unique and colorful personality to the table (a figurative table, not the dinner table). We still marvel at all the different little habits, buddy systems, and intelligence floating around our flock. 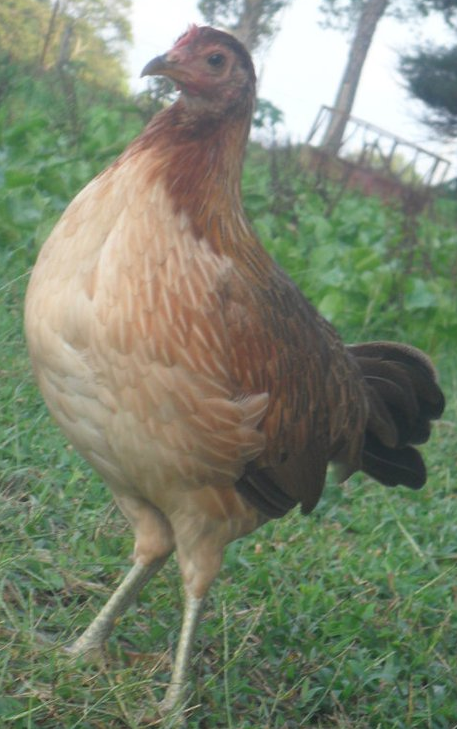 Mini is our head rooster–his personality is definitely a cross between an angry Mr. Myagi and a grumpy Mr. Wilson. Mini hates mornings, nonsense, and loud noises. Despite his grumbles with life, he does a great job making sure his ladies are well fed, safe, and happy. 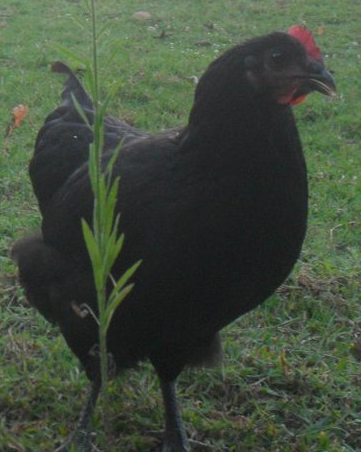 Flannery, Mini’s lady of choice, is our head hen. She is the epitome of daintiness and calmness, but she gets into her fair share of trouble when hanging out with Penfold. Andy is our special little buddy. He and Mini are best friends and can almost always be found together. Andy has never progressed beyond the maturity of a 16-year-old boy–Girls, Girls, Food, Girls, Food, Food, Sleep, Girls – if you catch my drift. 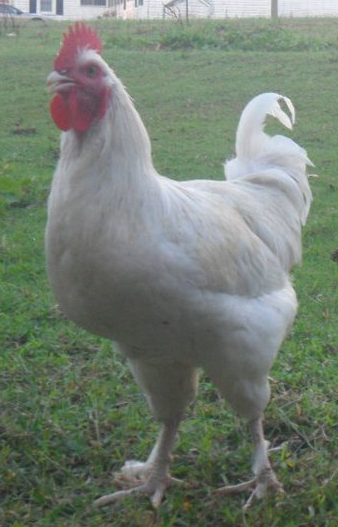 He’s our morning crower and afternoon stoner….at the end of the day, he’s a great rooster. Penfold is my special little devil. Despite being the smallest of our bunch, she brings a whole new meaning to the term “hell on wheels.” She loves snuggling, and we spend quite a bit of time together……when she’s not playing in the woods, flogging the new girls, or leading the others in a quest to do something they really shouldn’t. Charlie is our quiet girl. She’s dependable, consistent, and easy going–but she’s certainly not boring! Charlie possesses the unique ability to remain completely hidden in plain site–it’s like her father was chicken Houdini. Pearla and Josephine are the newest additions to our flock. They are quite a unique pair. Jo is extremely smart, enjoys exploring almost as much as Penfold, and hates Andy. Pearla is an innocent baby–wildly curious about everything, she spends most of her time in a little dream-like Pearla cloud. Pearls and Jo are very attached and dependent on one another and hate being separated. They give Mini and Andy a run for their money in the Best Friends department. 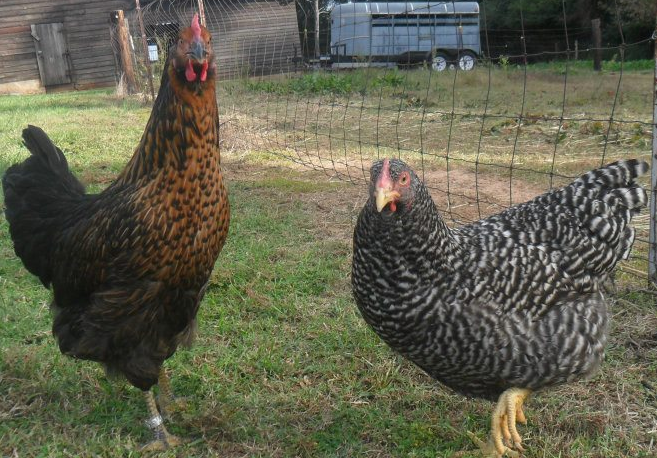 For us, the chickens are great, and we look forward to the hilarity and drama of each new chicken day. Our tribe has good days and bad, but at the end of it all, they are a family…..and it’s sort of like having Sister Wives meets The Young and the Restless playing out in your backyard everyday….you have no idea how much fun it is.